When I wrote my post on Best Rainmeter Skins people started asking for Rainmeter Skins for gamers most of my regular audience are from gamers niche so I decided to write a post on Best Rainmeter skins for gamers. We have also provided the download link so you don’t have to go for another post just click o the link and get your rainmeter skin or theme within some minutes. Before starting I would like to share some basic and throw some more shades on the gamers point of view. While picking up the rainmeter skin for this list we keep this in mind that the skin may have Clock, CPU usage, Ram usage and more. Some of them also have widgets like weather forecast and music controller. Gamers love the rainmeter skin as these themes are very customizable and make your PC look more awesome than they look before. So not wasting your precious time here are the best rainmeter gamer skin for you. 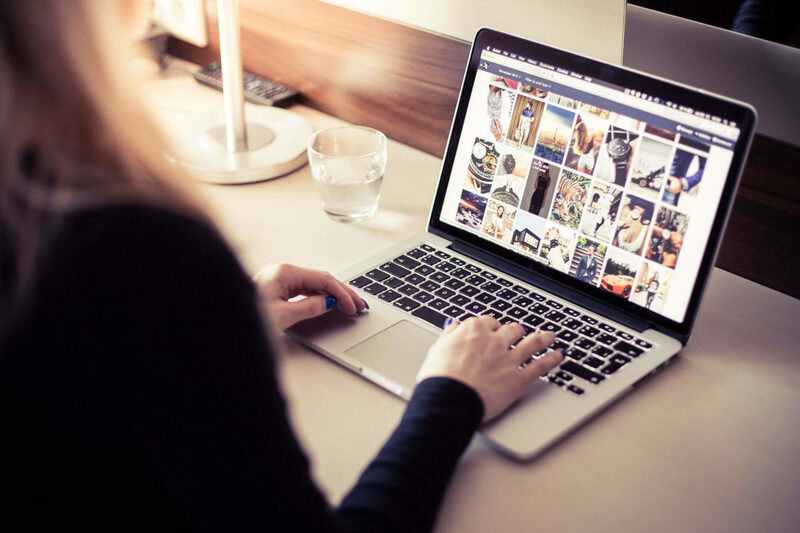 Many gamers love having rainmter gaming skin as they also motivate them and they got more function on the desktop according to their use. While there are a lot of people searching for rainmeter skin this makes us to write this post. There are a lot of gamers skin in the rainmeter section so for getting ease your work here are some best rainmeter skin for you. This is one of the best rainmeter skin I will go with if I am a game love although I am. 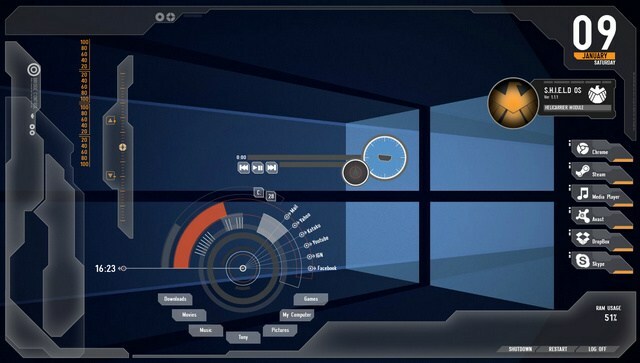 This gaming rainmeter skin provides all the functions like Ram usage, Date Time, Internet Speed, Network, Shortcut folders and more on the desktop. 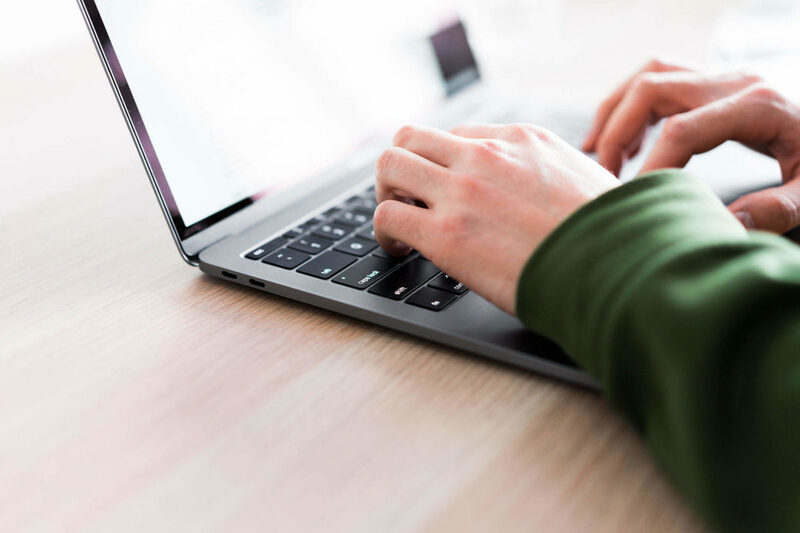 With the simple background and yet so dynamic in function, this theme covers all the important features on the desktop. 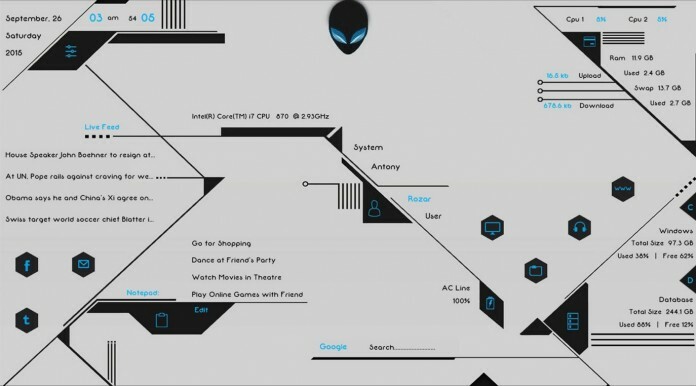 Those who are looking for a gaming rainmeter skin with a simple background and a customizable interface can surely go for this Alien rainmeter skin. You all know Nvidia don’t you all the gamers have memorized this name I guess. Nvidia skins are mainly used by Nvidia users as they are more supportive of their graphics card. 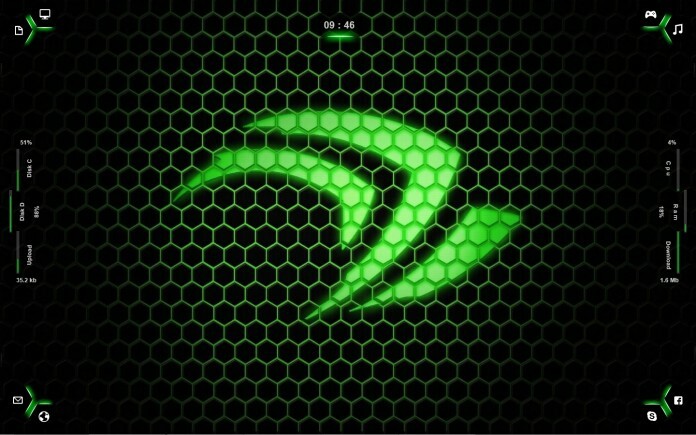 This Nvidia skin is pretty simple with the green background and the time displaying clock on the center top of the desktop. The corner displays some shortcut launcher with some CPU stats makes it more specific for the game lovers. The logo of Nvidia in the middle gives a motivation to play games as like you never did before. 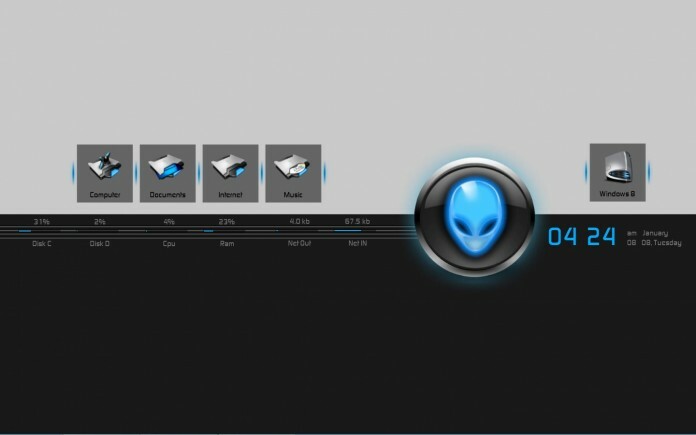 A good looking theme more like the original Alienware design from the back days. This theme provides you with some cool functions on the desktop for some gaming support. You got a clock with the day featuring on the desktop with a CPU stats bar on the main bar section. While they also provide the Rom drive looks great on the desktop to get easy navigation to your drives. You can choose this theme as an experiment or spent some time having this theme and I guaranteed you love this skin. The AMD didn’t just stand back let all gamers company enjoy the rainmeter skins benefit, so they also a cool gaming rainmeter skin with very clean navigation like Nvidia skin does. I guess you don’t find any change in the Nnidia skin and this AMD and yes they quite similar to each other. AMD also have the launcher on the back with some CPU stats showing in the corners too. 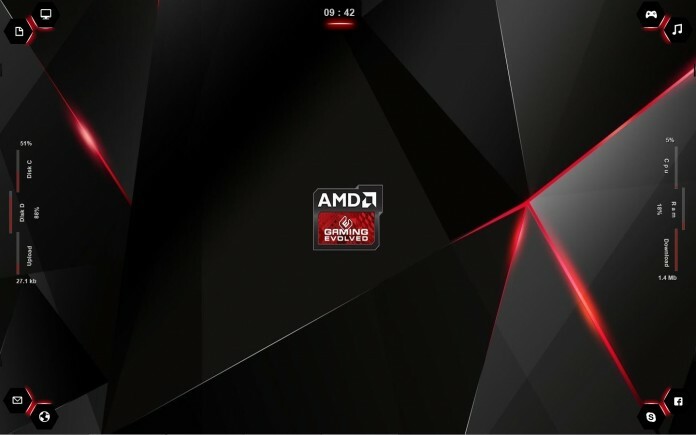 And the same clock on the top of the desktop with a logo of AMD on the center of the wallpaper. Although the wallpaper does look cool. As the name indicates many tech geeks and the gamers are the real fans of this skin. Once you look at this skin you can find why they love this skin much. 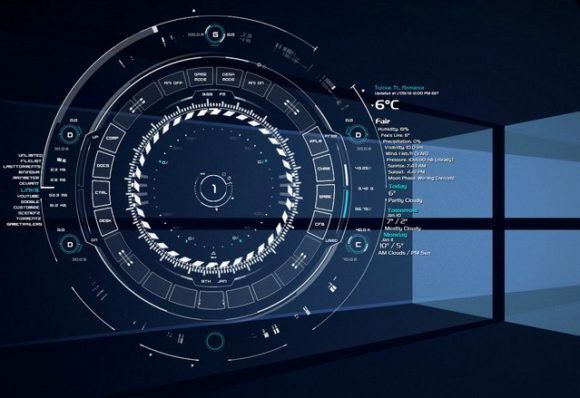 This is simple blue rainmeter skin all the widgets are enabled in the circular path makes it looks super cool. 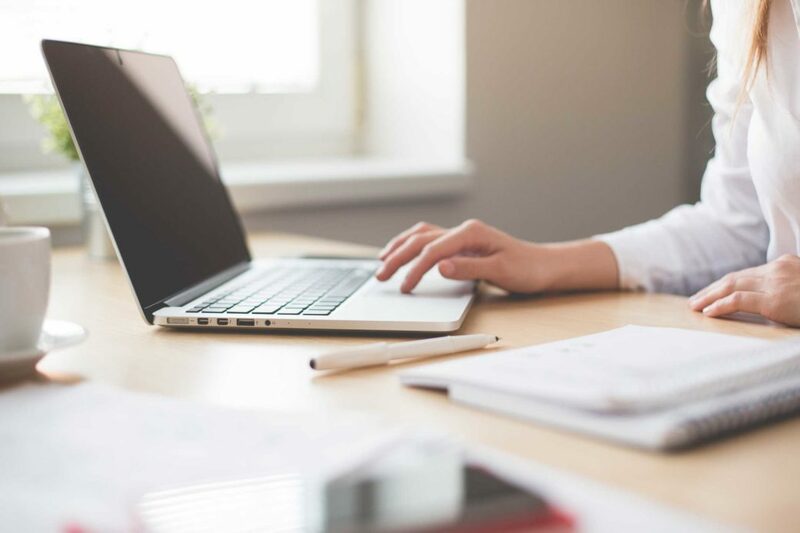 Tech – A provides the function like CPU Usage, Time, Date, Shortcut folder in the circular path on the desktop. 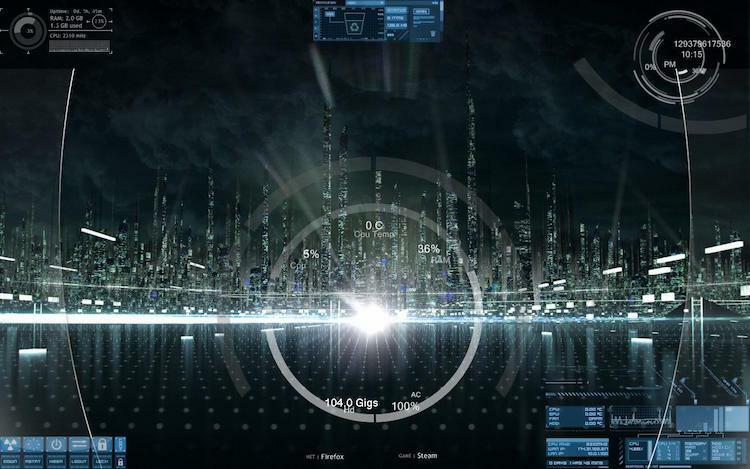 With the help of this rainmeter theme, you can customize your desktop to any level as you want. 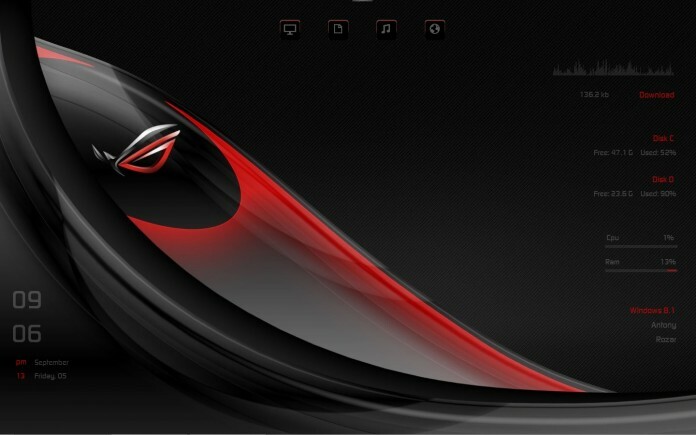 The Asus Republic of Gamers series takes the charm from the from the AMD & the Nvidia skin as this Gaming rainmter skin looks ultra stylish and the logo in the center covering the whole wallpaper looks simply awesome. Republic of Gamers skin provide the functions like ram usage, Cpu monitering and the disk usage along the clock on the right side looks mesmerizing. 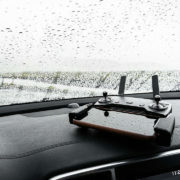 They also a set of launcher so that you can add any shortcuts to them to provide ease to your navigation. 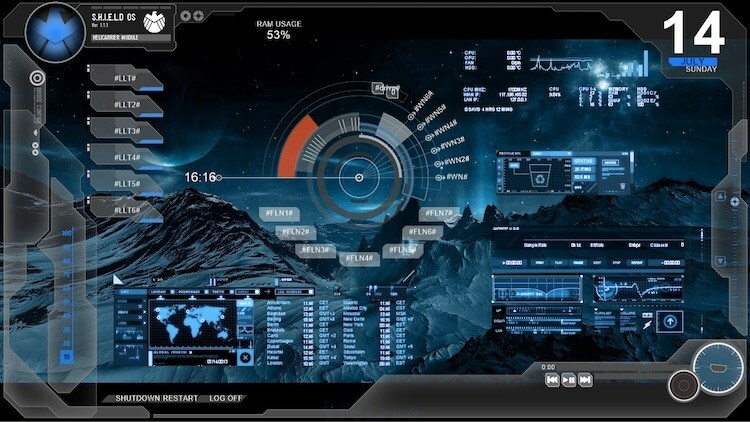 Avengers Shield Os is also considered as one of the best gamers skin of all the time. As the name indicates Avengers it carries the huge fan following of gamers and tech geeks. This skin is available in a lot of resolution so one have to not worry about this. This widgets that this Avengers Shield Os provides are Date & Time, Music control, Ram and Rom usage checker and more. The dark blue skin looks much mesmerizing as you can’t get off from this skins, all the widgets are great and didn’t even need to customize this theme. You can say it’s a tech skin which shows the future of us and it looks very bright. The dark blue theme looks so gorgeous with providing all the necessary widgets on the desktop. You can access all the important widgets like weather, Time & Date, Cpu Utilization, Ram Usage, and disk space. With more and more functions provided by this theme, Troy Legacy is always on the huge demands. If you want to have this skin then we have provided the link below. Beautiful Blue as the name indicates is a beautiful theme with all widgets like weather, Time & Date, CPU Utilization, Ram Usage and disk space on the desktop screen. The dark blue background of the theme is ultra glowing and with the mountain and a tech background which attacks anybody at a glace. Beautiful Blue is a great theme as per as the user review says. So check out the theme and says us do you like this theme or not. 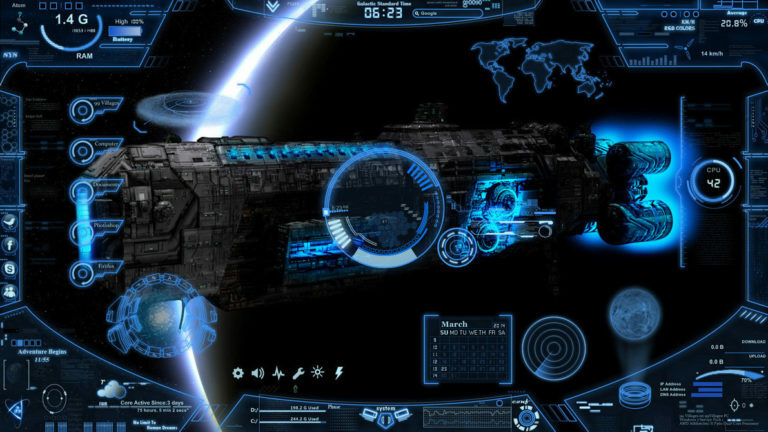 Neon Space is the dark blue glittering theme with a spaceship model covering the whole background. This is a well-known tech theme loved by all the geek audience all over the world. Mainly all the widgets are in the corners like Calendar, Date & Time, CPU and Ram usage and Weather forecast. The theme looks well functioning and navigational all the important functions are available on the Desktop screen. Get this theme and show off in front of your friends, the download link is present at the bottom. This is an end of the list of rainmeter skins for games you can pick any of them as they all are really great in terms of looks and functioning. So tell us in the comments box which rainmeter skins are you using and which are going to use. Which is favorite theme by the way also tell us what we missed so we can updates us. Hope to see you guys in the comments section.